Eating each set of 7 shrooms gives 1 Constitution. Good for Constitution timer for making Nut's Essence and Solvents for Crossbreeding. 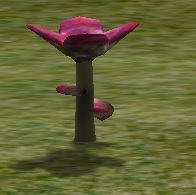 'Always spawns' means that they are always in their area at their shroom time. NOTE: Spawn and despawn shroom times without an asterisk need to be confirmed. 12:03AM–1:36AM* Next to shorter or taller 90 degree strip edges of rock. Groups of ?, a cycler of small spawn then medium spawn then maybe huge spawn up to 300+ then smaller spawn. Comes back at a random time after maybe 1–2 weeks or so. 12:10AM–1:33AM At rocky 90 degree edges, Groups of 3, almost always spawns at -2358, 2654 area. Look all around high steep cliffy, terraced parts. Can be up to 6 groups. Sometimes not accessible to pick. Small flea dots if zoomed out. 1:00AM–3:36AM* On expanses of flat land, grass or desert. Groups of 2-5, always spawns in same general area in large amounts, migrates very slowly. Usually groups are within sight of each other from one to the next. 5:00AM–6:22AM Larger flat grass areas. 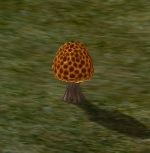 Look in expanses where shroomdar points to. Groups of 1, always there but greatly spread out singles. Sometimes has huge spawns for a very long time in one area but at some point huge spawns disappear. Probably due to some eco change. Pinkish dot if zoomed out. 5:05AM–6:27AM In rolling green hills or a larger hill or plateau. Groups of 5, a cycler of small spawn then medium spawn then maybe larger spawn up to 100+ then smaller spawn. Spawns migrate. Comes back at a random time after maybe 1–2 weeks or so. 7:10AM–8:35AM* Two spawns anywhere in Egypt usually on flatter, lower spot usually on grass. Spawns in a cycle at same spot in an ascending order of powers of 2 as a small to huge circular area of a few then medium amount then large amount up to 300+ then disappears in that spot. Can be a little hard to see on grass since they are dark round shrooms. 8:04AM–10:36AM Seems to be near mines on grassy areas. Groups of ?, can be a few to huge numbers of 1000+ in very large area. 8:03AM*-10:35AM* Usually flat (can be on a bit of hill) areas sand or grass Groups of 5, around center of large spawn area is much more concentrated and has sparser amount of groups out from center. Horizon view for flat sand. Always spawns each spawn time. 9:04AM–11:08AM On hilly, elevated grass or large and small rocky stony elevated outcrops. Looks like dark flea dots if zoomed out. Stay zoomed in more. A cycler of small to medium spawns that migrate and disappear in a few days. 9:00AM*-10:53AM Sand or grass, can be along sandy area by shore or near camps after chicken coops start. Look for camps with large number of chicken coops near sand. Can be a single to a huge number 300+. Once chicken coops come out, they go in longer cycles of lots for days and peter out to nothing sometimes. 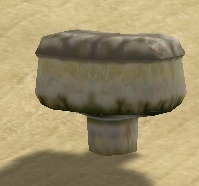 Occasionally Pool of Tranquility shrooms will be at same location. 9:00AM*-10:30AM* On the side and base of mountains and mountain ranges on about any terrain. Always spawns in its area in fairly large amounts. 1:05PM–2:46PM* Among hilly grassy areas Cycler of several to many for maybe 3-6 shroom times then takes 2–3 weeks to return. 2:00PM*-4:35PM Can be in rough sandy large areas and into green valleys near the sandy areas. Spawns in pairs. Always in their spawning area but very very slowly migrates. 2:01PM–3:29PM In large sandy areas and sometimes small sandy spots. Hard to see so do not zoom out too far. Pairs are usually far from each other. Spawns in pairs. 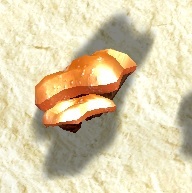 Always in certain sandy areas so eat dex food like Rumi cheese and run all over the area that shroomdar shows the most sightings. 2:00PM–3:27PM On rocky outcrops and brown/sand mottled areas. Usually spawns in small groups to very large expanses. Leek, Onion, Watermelon known to produce extra seed nearby. 2:45PM–4:36PM* On Sand. Numerous west of Kahun cs in large flat area. Usually spawns in same general sandy areas in pairs. Pairs within viewing area of each other, sometimes farther apart. 2:02PM–3:30PM On large, flat expanses of sand, usually spaced much farther apart than within viewing range of each other. In pairs, looks like two flea dots if zoomed out. 2:00PM*-3:31PM* Can spawn on all terrain, but seems to do so more on rock terrain. Can be a small patch to a very large amount like 100+. 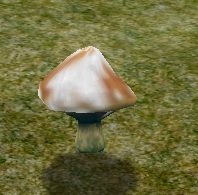 Spawns among Carrion shrooms in small amounts so check those shrooms too and remember both are green. So look for a different profile. Cycler that spawns several times in a spot, migrates and disappears. 3:10PM–4:50PM Grass or Sand. Groups of 3. Erratic spawner. Something used in camp seems to help them spawn. Glass machines? 4:02PM–6:36PM* In large flat deserts where there is nothing else. At Western Desert -2000, -5500 since beginning of Tale 8. Groups of 5, always spawns, lots of groups within sight of each other and then farther away in very large areas. 7:00PM–9:36PM* Spawns amongst Fruit of Horus in grassy areas. From 2 to 100+ in with Fruit of Horus, sometimes none. 7:03PM–9:36PM Seems to be in green rolling hills, higher elevations. Sometimes with Fruit of Horus. Erratic spawner. 7:20PM–9:00PM* In sand usually near chicken coops. Spawns less often in same areas near chicken coops as Dung Rot so probably has a narrower range of ecology than Dung Rot. Very few spawn naturally. When chicken coops come out then you get larger spawns from a few to 100+. 7:00PM–9:36PM* On very large expanses mostly grassy areas but leaks onto rock and sand too. Crow's Beak can be amongst them in amounts of 2 to 100+. Massive amounts that very very slowly migrate. Stays in same areas for a long time but can finally disappear from the area. 8:05PM–9:30PM In rolling sandy to cliffy hills. In pairs, always there, spaced sometimes within viewing range of each other sometimes near but not in viewing range of another pair. Spawns in large area. Can usually pick up to 60-80 during spawn time in one area. 8:20PM–9:36PM* Same spots as Salt Water Fungus, on peninsulas and small islands that are in the seas and sometimes in ponds at low elevation Spawns from a few to up to 50+. A cycler. 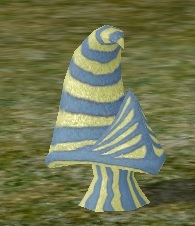 Spawns for several shroom times in a row then disappears for 2–3 weeks. 9:06PM–10:30PM* Usually grass but sometimes leaks onto sand Pairs, always spawns in general large areas, very very slowly migrates. Sometimes along hard desert/grassy lines. 9:00PM*-11:36PM* Near Persephones, Blast and Compression furnaces. Spawns when ecology is changed enough by use of certain furnaces. 9:00PM–10:30PM Out in large expanses of flat desert. I use Horizon View shown above because they are difficult to see zoomed out. Sweep your view back and forth to catch them to the sides of you. Spawns in pairs pretty far apart. Always in same area. North of the Sheba chariot stop is one spot. 9:11PM–11:25PM Spawns in same areas as Cat Nip does but not if Cat Nip is spawning in that place. Especially likes rocky on rough, terraced, sloped sides. Can be a few to upwards of 60+. A cycle spawner, spawns for a few shroom times then disappears for 1–3 weeks. 9:21PM–10:22PM Spawns in same large green flat areas as Peasant Foot does. Groups of 7. Almost always spawns in the same areas but scattered and random spots. 9:32PM–11:30PM* At base of mountains, on mountains Groups of 5 - Always spawns. Easy spot with lots of them, Lahun, 89, 4821 on the pstchy rocky areas. 10:16PM–12:38PM On rocky/grass smaller hilly areas or terraced areas. Pan side to side to catch twinkles and stay zoomed in more. Hard to see small peanut on a stick.. Groups of 3, always spawns in same general areas. 10:06PM–11:31PM On small hills to taller mountain ranges, grass, stone or sand. Groups of 5, a cycler that spawns for a while in an area of small hills or along a mountain range then disappears for a while to come back later. 10:06PM–11:36PM* Spawns in same peninsula and island areas as Heaven's Torrent. 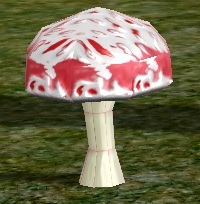 Spawns a few to 40+ in a cycle of a few consecutive shroom times then disappears for 1–3 weeks. 24 Hours Every Day On grassy areas, flat or hilly. In groups of 2 to 7. Do not confuse these wooly imposters with Peasant Foot. Always there until you pick out all 7 hive inhabitants. Appears on any terrain but seems to like to try and be hidden. Mimics Beehive shrooms. If you get caught by this one...turn up your Options > Building Sounds! Fool me once, shame on you, fool me twice, shame on me! Almost always spawns as a single unit but occasionally has a hidden one inside that can be extracted. 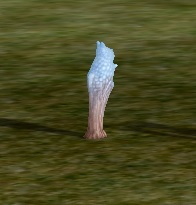 Appears on any terrain and then usually disappears. Some always stay. On any type of terrain. Spawns in numbers of a single one to up to 5 in one spot. Mimics Heaven's Torrent but in the wrong habitat. Stays all the time in its spot until the vermin is captured. Appears on mostly flat terrain. Will attract you from far away. At least this one is useful for another Human Body test. Spawns in groups of 12 with a furry head on one. Imitates dark round brown shrooms. Spawns in suspicious spots near clay and shores and other random places. Glimmers in a small round bumpy way that is deceptively like several other shrooms if zoomed out. The Fool's Silver of Egyptian shrooms! On any type of terrain. Always spawns in its same spots in rather large amounts. Single silt spawns and despawns every so often. If picked, it respawns in a very short time, so unlike shrooms.